Stafford Textiles Limited has introduced StafTop, PU/Acrylic coated for outdoor use. StafTop is a texturized woven polyester fabric that is 61″ wide, 13.0 ounces per square yard, and is dimensionally stable. StafTop has been specifically designed to stand up to tough marine weather conditions. StafTop has unsurpassed abrasion resistance, high tensile strength and dimensional stability that results in an extremely durable product. Additionally, StafTop gives customers a colorfast, UV-treated, water-resistant, mildew-resistant option at a competitive price. 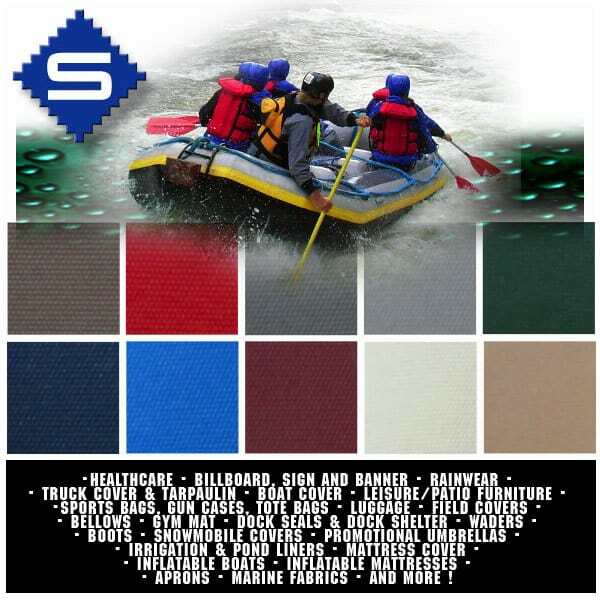 Stafford Textiles has been a leading provider of marine boat top materials for several decades, and offers a broad range of industrial fabrics and garments to a diverse set of industries. “At Stafford Textiles, we are proud to continue our 60-year tradition of being on the cutting edge of fabric development by introducing a product that has been tested and developed over the course of two years,” StafTop is now available for order in a wide range of standard and custom colors. Stafford Textiles offers reliable service with a rapid turnaround and on-time delivery. call (416) 252-3133 for details.